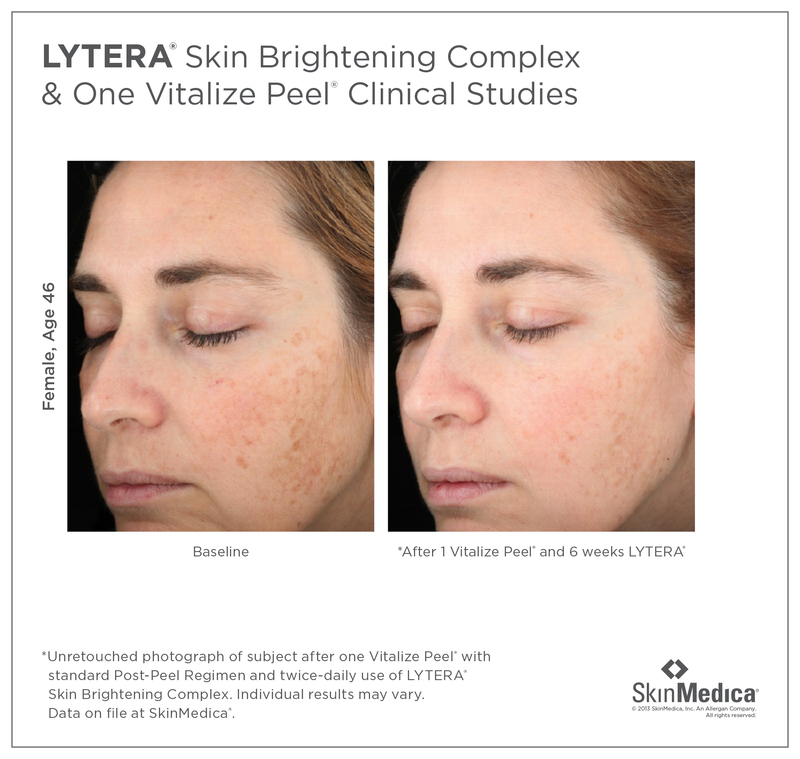 Book Your SkinMedica Peel Series Today! Chemical peels are an important component of any skin rejuvenation program. There are a variety of peels on the market, and the type of peel that is right for you is dictated by more than just the condition of your skin. Factors such as skin color, depth of skin damage, and the type of peel all play a role in determining which peel is best. In most cases, it is recommended that peels be performed as part of a series to achieve optimal results. What is a peel series? Why should you give consideration to having a peel series? What Is A Peel Series? A chemical peel is an advanced skincare treatment. A licensed professional applies a solution to the skin that chemically removes the outer layers. These solutions contain ingredients that target acne, fade discolorations, and minimize fine lines and wrinkles. Depending on the chemical makeup of a peel, the level of exfoliation can range from very light to substantial. A peel series is a combination of one or more types of chemical peels to target and correct a particular skin issue or issues. When creating a corrective treatment program, your physician will decide if just one peel or a series of peels is right for you. Depending on the condition of the skin, peels are administered anywhere from four to six weeks apart. Single treatments (as shown above) are effective. However, they are mostly superficial and will not offer any lasting benefit to the skin. Optimal results are always seen with a peel series. At Anand Medical Spa in NYC, we offer SkinMedica medical-grade chemical peels. The depth of exfoliation of these peels ranges from superficial (Illuminize Peel) to moderate (Vitalize Peel) to deep (Rejuvenize Peel). SkinMedica Peels reach the deeper layers of the skin – where problems begin – to rejuvenate and revitalize the skin. From now until October 15th we are pleased to offer our Fall Rejuvenation Special: a customized peel series designed exclusively for you by Medical Director Dr. Sunanda Chugh. This is the last time Anand Medical Spa will discount SkinMedica Peels this year! Book yours today!